Save over 20% on 3-units and up! 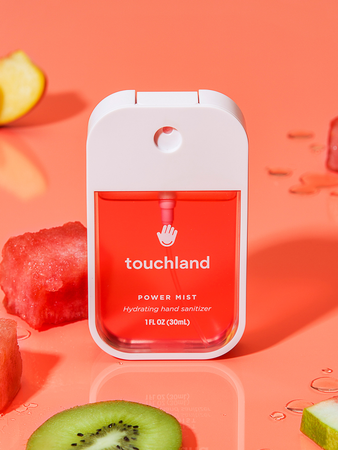 A hand sanitizer made just for you. Upgrading your hand sanitizer experience to a whole new level. Sanitizers dry out your skin? Not anymore. We are passionate about finding solutions to help simplify everyday life, and take care of everyone's health. In our modern, urban lifestyles, our hands are exposed to all kinds of unhygienic surfaces teaming with illness causing germs— but keeping your hands clean shouldn't mean drying out your skin or leaving hands sticky. 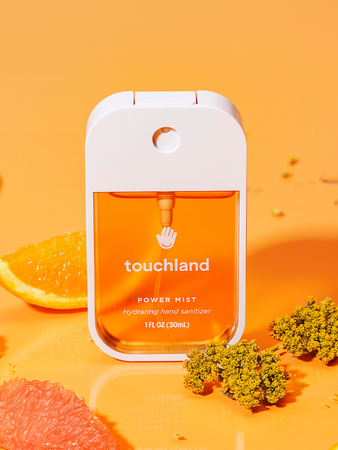 That's why we've created the next generation of hand sanitizer, Power Mist, a fast-evaporating, naturally moisturizing, travel friendly sanitizer that keeps your hands soft, clean, and smelling great. In 2015, Unicef confirmed that over 300,000 children under 5 years of age died from diseases linked to poor daily hygiene. We believe we can help. That’s why a percentage of all Touchland sales are distributed through our charitable arm, Touchlives, in order to provide hygiene solutions to those who need it most. "The Nespresso or Nest of hand sanitizers on-the-go and at home or for commercial use"
Businesses and organizations worldwide are embracing a simple yet better way of protecting their staff, customers and guests. With tens of thousands of uses per battery charge and an IOT-powered technology, the Touchland KUB dispenser saves organizations money while providing a safe and cleaner environment. KUB blends stylishly into any environment. Meet the first beautifully designed smart dispenser that enables a healthier environment while improving your brand image. Customize yours today to match your brand image!